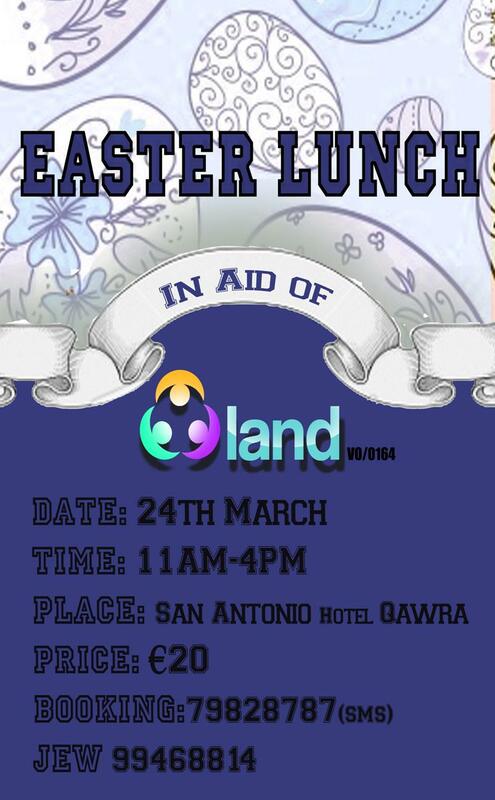 LAND Group is going to celebrate Easter Lunch at the San Antonio Hotel and Spa for the price of 20 Euros and at the same time you will be helping LAND Group. Many prizes are to be drawn. Bookings by sms on 7982 8787 or 9946 8814.